King Rollo Films will work with creator Jo Rose to produce a 45 second animated clip and TV show bible for a 26 x 11 minute show. King Rollo Films and Koko Media have signed an animation development deal for Jo Rose’s Deer Little Forest. King Rollo Films will work with creator and Henries Award-nominated illustrator Jo Rose to produce a 45 second animated clip and TV show bible for a 26 x 11 minute pre-school show. 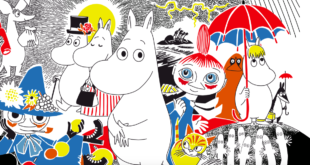 “Now and again you come across a pre-school property that makes your heart beat a little faster," said Leo Nielsen, founder and president of King Rollo. King Rollo has brought the likes of Spot, Maisy, and Poppy Cat to TV screens in the past. 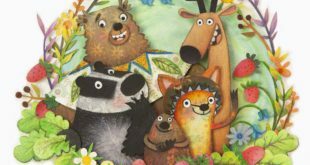 “Collaborating with King Rollo Films, producer of some of my favourite TV shows growing up, is a dream come true," said Jo Rose, creator of Deer Little Forest. Deer Little Forest stars the feisty Forest Flo and her band of magical and musical woodland friends including Bodhi the Bear, Rowan the Philosophical Fox, Barley Crumb the Badger and frogs Fennel & Fig. Deer Little Forest is also being developed as a pre-school picture book series, with the first book, The Animal Moon Parade, finished and under submission with publishers in the UK, US, Germany, France, Italy, Nordics, and the Netherlands. 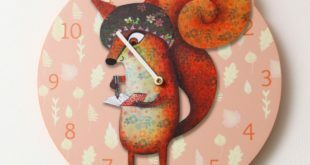 To date, Deer Little Forest has generated partners including stationery deals in the UK (Paperchase, Rizzoli Bookshop/Somerset House, Timbergram), Finland (Karto) and Russia (ZPR/Art & Design) as well as an apparel deal with T-Shirt Booth. All rights are managed by Lisa Hryniewicz at Koko Media, excluding North America which is managed by Think Tank Emporium.